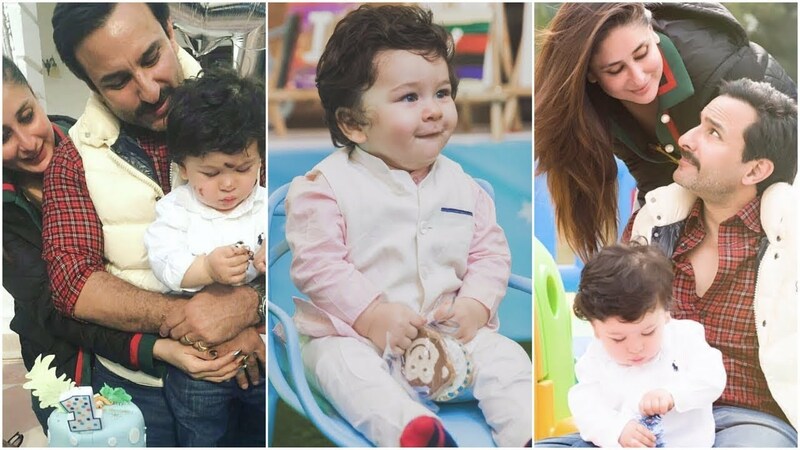 Actors Kareena Kapoor Khan and Saif Ali Khan celebrated their son Taimur’s birthday a little earlier than expected. While their toddler turns two years old on December 20, the couple threw a small party for him and all his friends on Friday. Saif and Kareena posed with their son outside their home for the paparazzi. Kareena held up Taimur while clinging on to her husband’s arm. Also seen at the party were Saif’s sister Soha Ali Khan with her husband Kunal Kemmu and their daughter Inaaya Naumi Kemmu. Actor Tusshar Kapoor’s son Laksshya was also seen at the party. Kareena’s sister Karisma arrived with her daughter Samaira and son Kiaan. Reality show star Rannvijay Sangha was also seen with his wife and daughter. Talking about raising his son in the media spotlight with Kareena he said, “Our job is to keep him balanced. I think Indian parents like us, like my parents, have a slightly tough time trying to put good moral values and basic family values into kids who grow up with too much attention. And it is possible. So, we hope that he is going to grow up fine and we’re very conscious of it,” Saif said while talking about Taimur, who draws constant media attention. Saif will soon be seen on the second season of Sacred Games while Kareena will be seen in Takht and Good News.